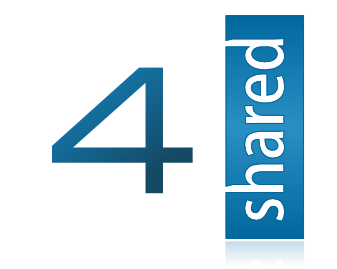 4shared.com offers free 15 GB free online storage to upload, sync and share your music, video, photos and documents on the cloud. This free 15 GB storage comes with no bandwidth limitation & maximum upload file size 2 gigabyte, 100 Sub-Domain folders. You need to login at least once within 180 days to keep your free 4shared account alive. Like any other modern cloud storage service 4shared offers desktop and mobile application to give user access from any internet connected device. You can compare all the details with 4shared free and paid account features. 4shared Desktop and Mobile applications are available for Windows, Linux, Mac PC’s, iOS, Android and Symbian that expands functionality of 4shared service. You can access all your files at 4shared directly from your computer, smartphones and tablets. 4shared application speeds up the routine process of uploading hundreds files to your account and make it much easier. Friendly easy to use interface and perfect usability of 4shared Desktop will increase productivity of your work and greatly lighten performance of tasks. This easy to use software is designed specifically to help manage multiple file uploads. It takes a few clicks to browse, manage and share folders and files from your 4shared account right on your iPhones, iPad, Android, Symbian and Blackberry phones. 4shared app allows you to stream tracks from 4shared on your mobile devices without downloading music files. It also has a 4shared Music Web for Mobile that allows you to stream music from any device. iPhone and iPad - 4shared Mobile and 4shared Photo. Android - 4shared for Android and 4shared Music. Windows phones BoxFiles + 4shared.